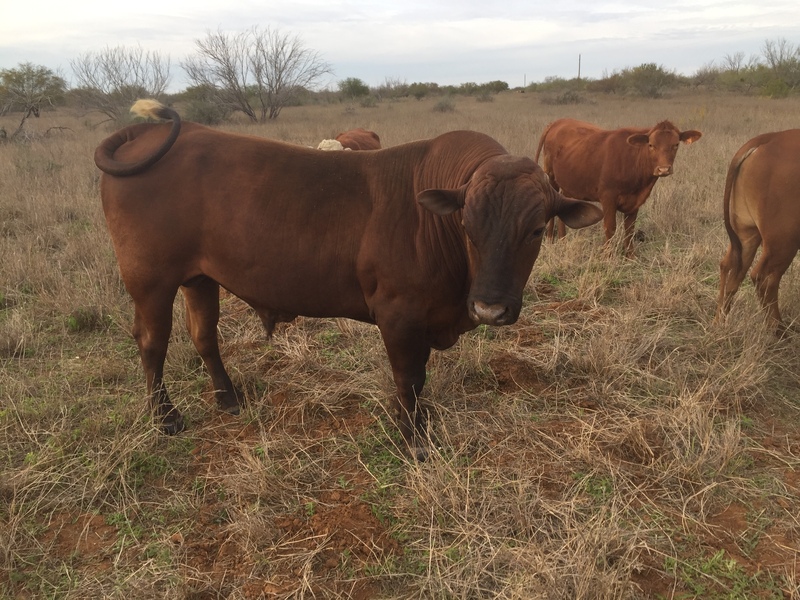 Heifers for Sale – All Sold! 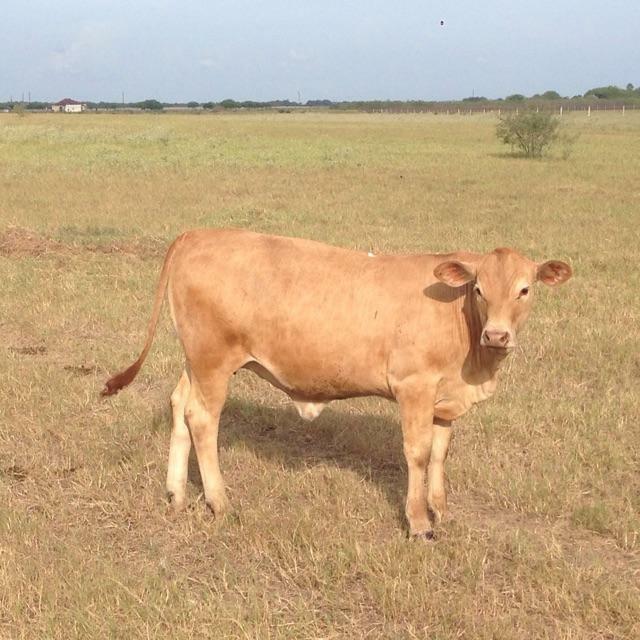 Flying W Ranch is located in Cotulla, Texas. For years now, this business has been purchasing Star bulls to produce cattle that are heat tolerant and productive without pampering. The herd manager, Grant Rogers, has eight Star-sired heifers for sale: 2 year-olds (6) and 3 year-olds (2); photos appear below. They are out of Red Angus crossbred cows. 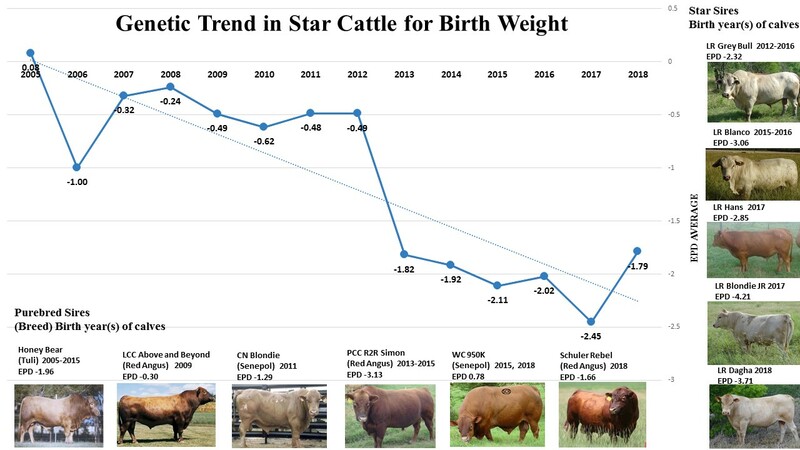 Since December, these heifers have been exposed to Star bulls. They can be palpated to confirm pregnancy. Another bonus is that the heifers are American Grassfed Certified. The ranch is asking $1,100 a head for these good heifers. Grant can be contacted by phone (830-456-9519) or email (flyingwranch@icloud.com). 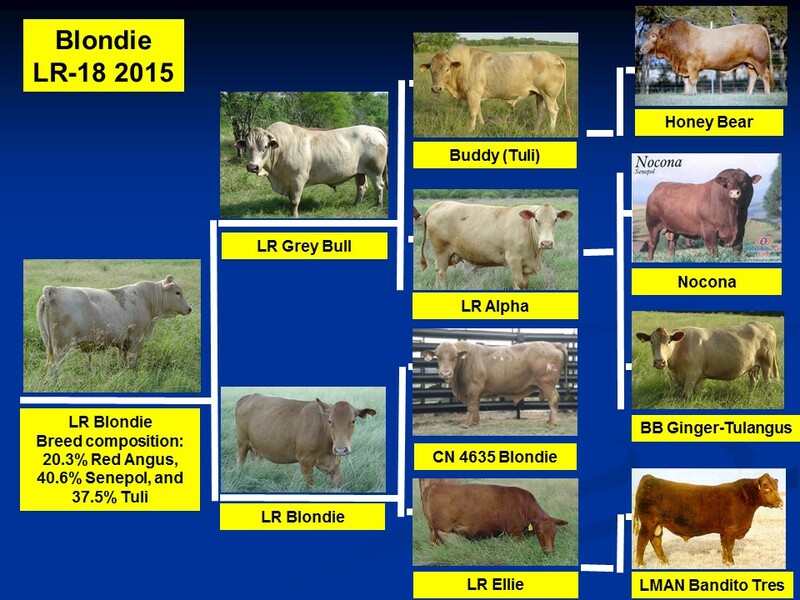 Since 2014, Billy Griffin – a rancher from Bandera, Texas – has been upgrading his cattle to a Star composite herd. 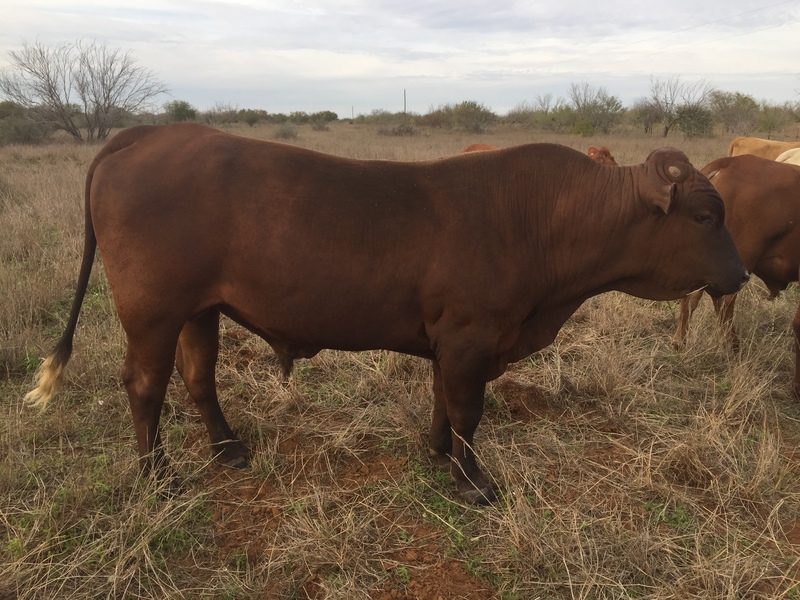 His breeding objective is to develop a heat-tolerant herd of easy-care cattle that are well adapted and that are highly fertile and can thrive on low quality forage. 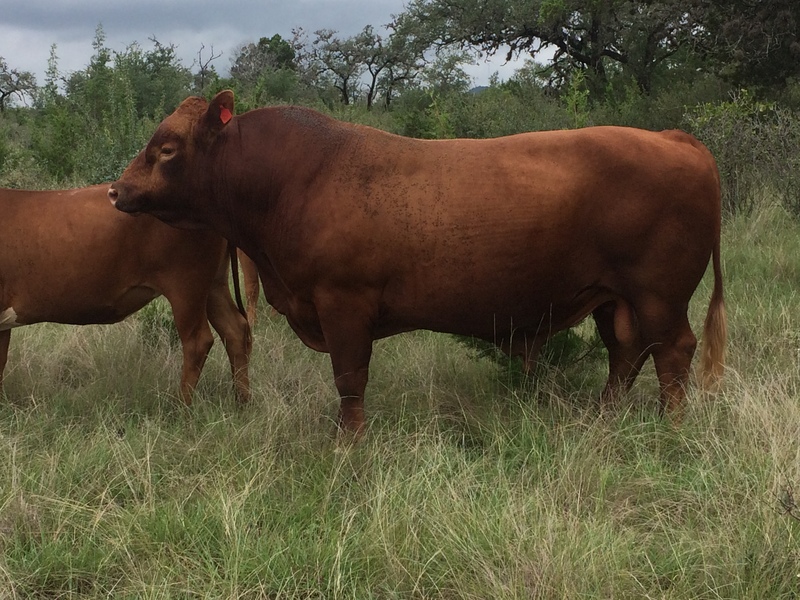 Billy has two Star bulls for sale that were born on Lukefahr Ranch located in deep South Texas. 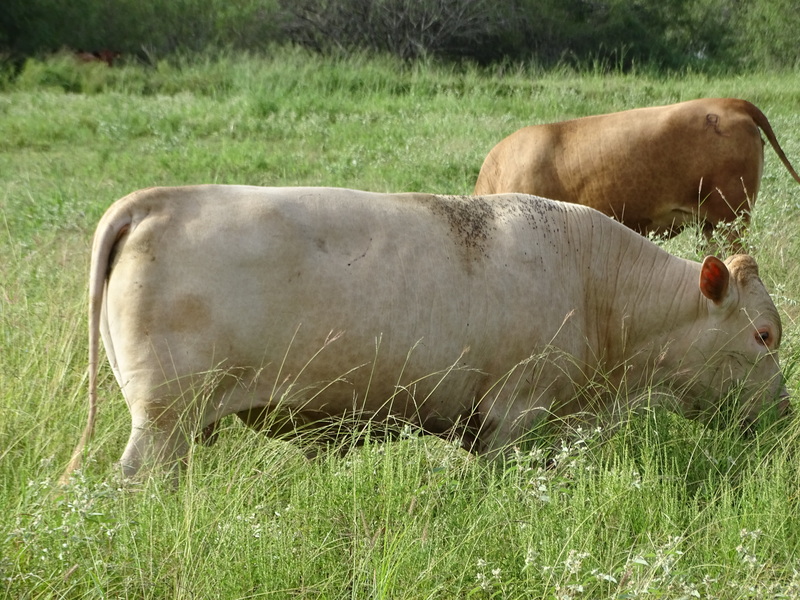 For several years now, both bulls have been used for breeding during the summer months with high breeding success. They will be sold at very affordable prices. 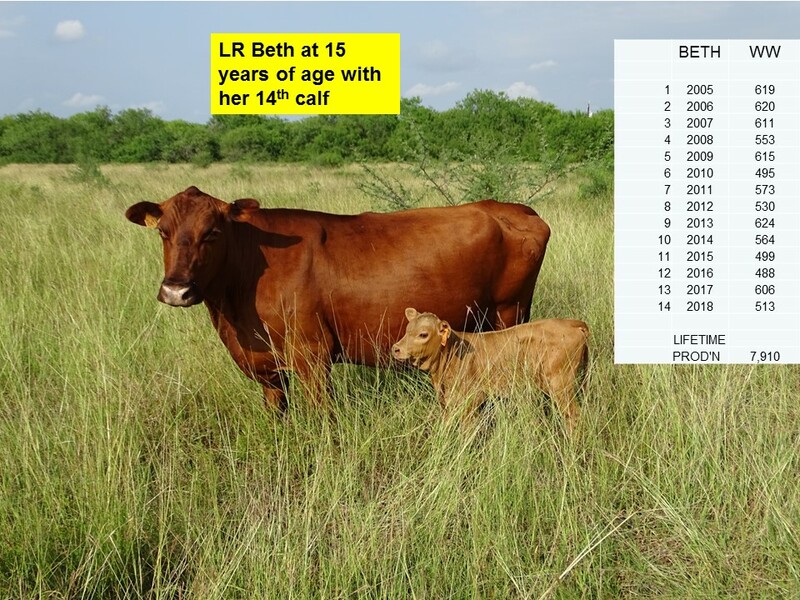 LR 24-2013, “Wally”, is a red-colored, 5-year old Star composite bull bred by Lukefahr Ranch in south Texas for heat & humidity tolerance. 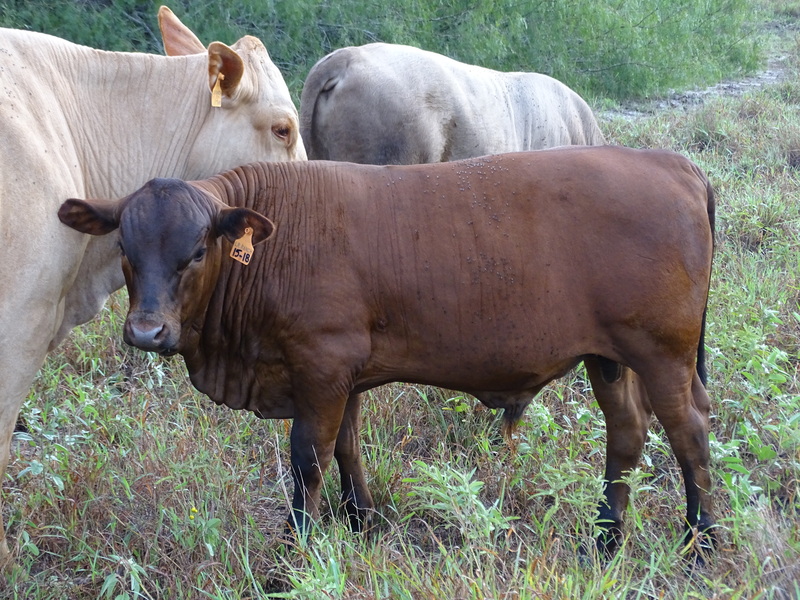 His genetic make-up is 66% Red Angus, 28% Tuli, and 6% Senepol. Bull’s sire was PCC R2R Simon (RAAA#1421521). 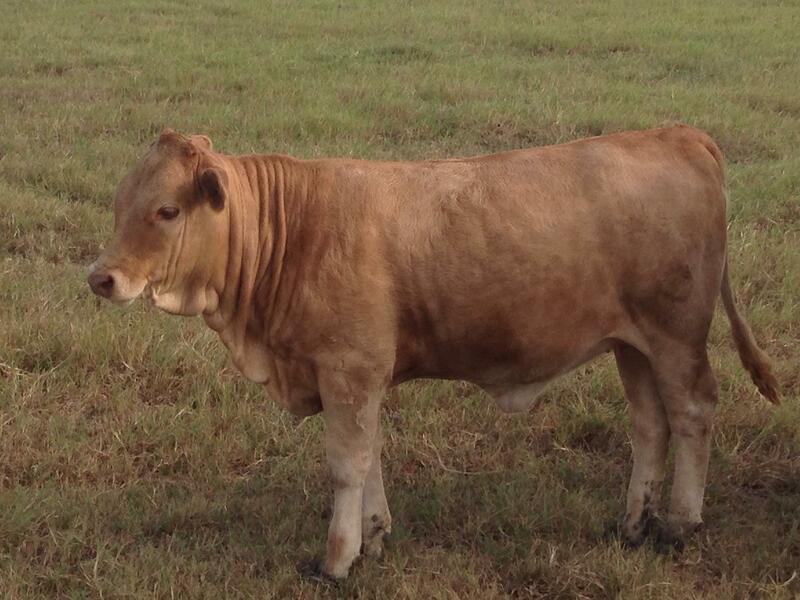 In 2012, PCC R2R Simon was purchased by Lukefahr Ranch. His maternal grand sire was Honey Bear (purebred Tuli). Wally had a BW of 72 lbs. His EPDs are as follows: BW (-1.68), WW (+.77), and MILK (-.55). Moderate frame, easy fleshing, gentle disposition, broke to single wire electric fence. 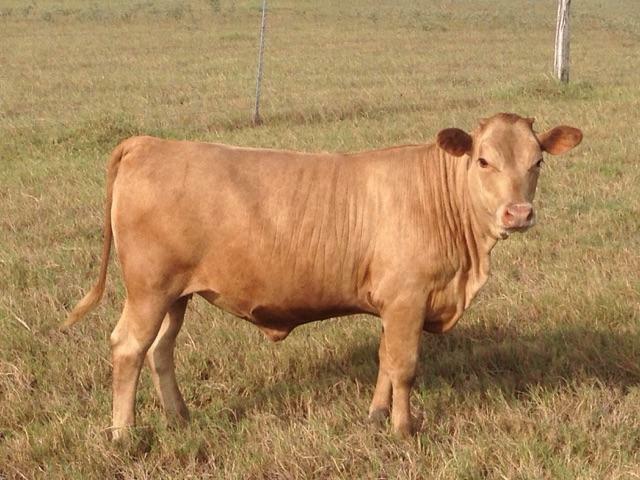 Selling only because I have kept several of the bull’s daughters as replacements. LR 12-2009, “Grey Bull”, is a 9-year old. retired herd Star bull from Lukefahr Ranch. 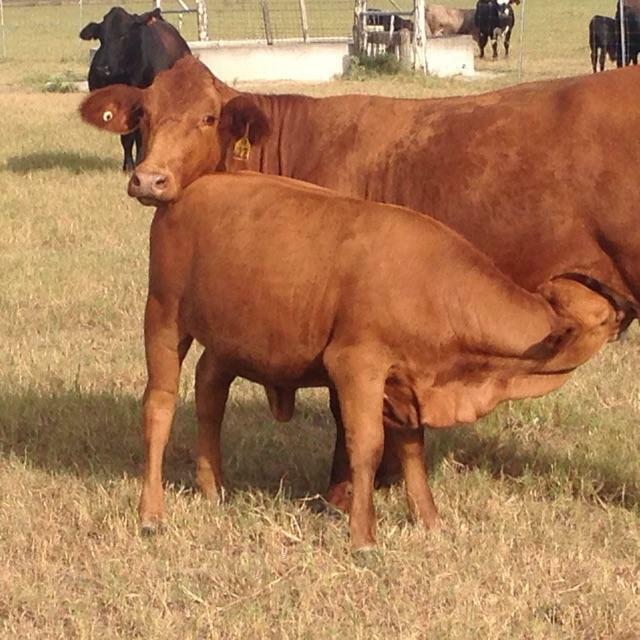 Star cattle are bred for heat & humidity tolerance. 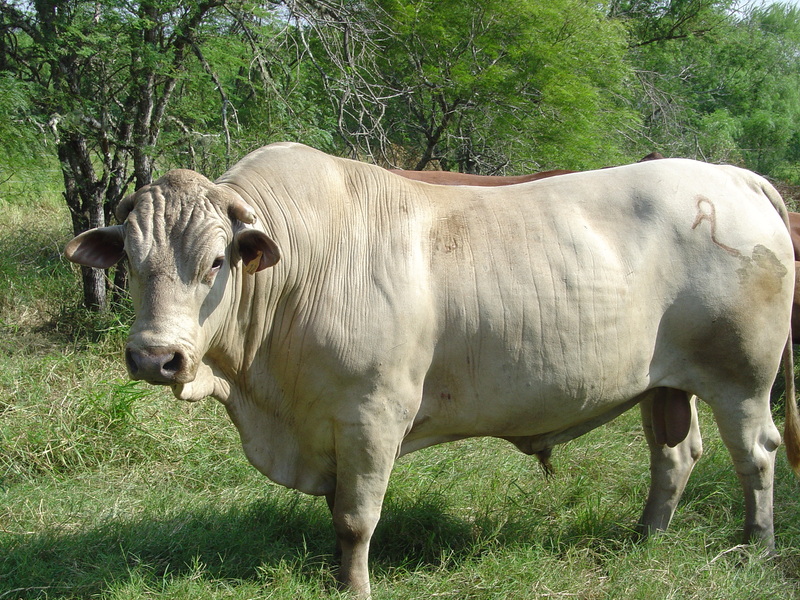 Grey Bull’s genetic make-up is Tuli (62.5%), Red Angus (12.5 %), and Senepol (25%). His EPDs are as follows: BW (-2.4), WW (-19.3), and MILK (-7.8). Easy fleshing, gentle disposition, broke to single wire electric fence. Selling only because I have kept several of the bull’s daughters as replacements. Still expressing excellent libido and breeding activity. He is light-colored and slick-coated so he can handle the heat. He has scurs not actual horns. 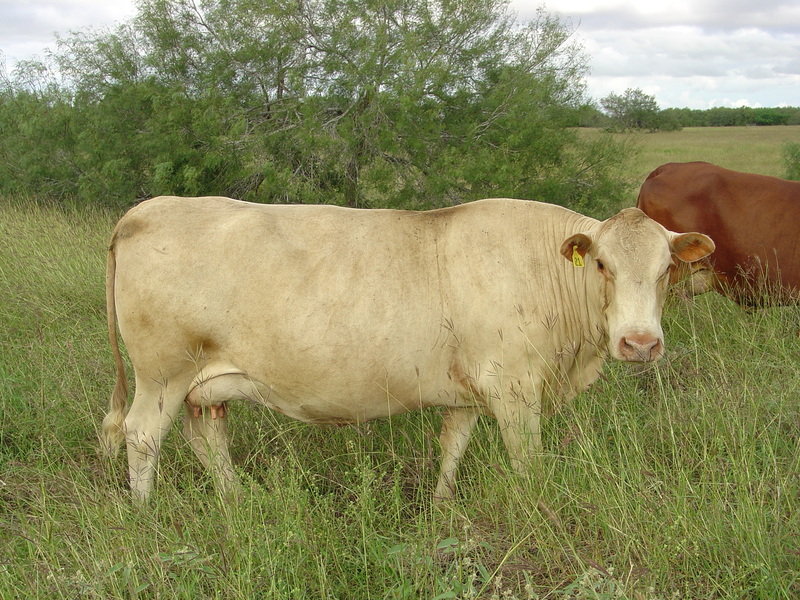 Tuli is a breed from Africa that is known for longevity, ability to perform in heat and thrive under poor forage conditions, with early sexual maturity and good meat quality. For more information Billy may be contacted directly by phone: 830-796-5335 or email (billy77@sbcglobal.net). In the November issue of the Stockman Grass Farmer, an article was published entitled: What is Genetic Trend. In the article, I define and explain the basis and application of genetic trend. This article has been posted at the Articles & Presentations page of this website. Also posted is the original full-version article that made reference to the actual sires of the Red Angus, Senepol, Tuli, and Mashona breeds. The original genetic trend figure appears below.